Eclectic Sun is here to make your day on the water the best it can be. 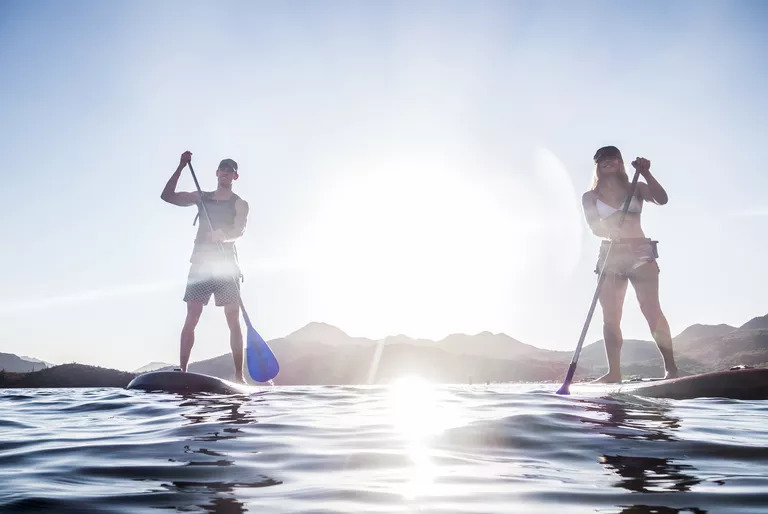 Whether you're a Pro or just a Beginner our friendly staff is here to assist you with all your Paddle Sports needs. 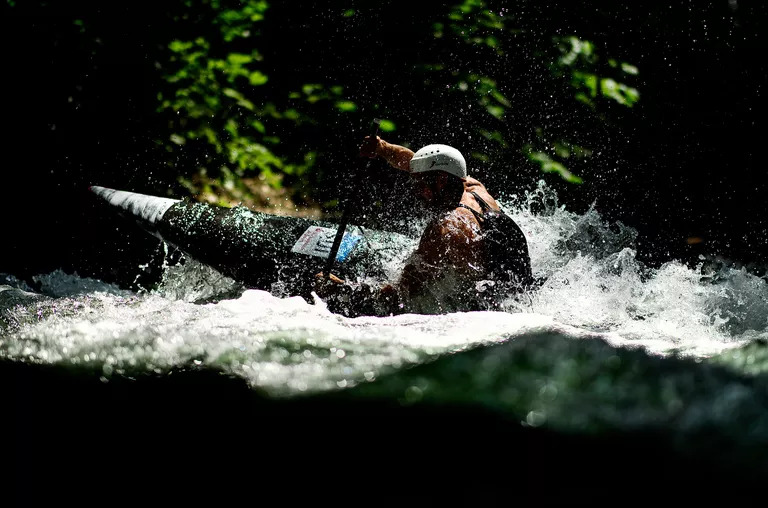 Knowing the how to properly refer to the anatomy of a canoe will help you to learn the sport and to communicate with other paddlers as you begin to advance your canoeing proficiency. Here are the canoe design features and parts that are universally applied to all canoes regardless of canoeing genre. Bow: Simply put, the bow is the front of the canoe. This is universal for all boats. So, whether you sit in a motorboat, kayak, and every other type of canoe, the word “bow” means the front. The pronunciation is the same as in “take a bow” and not like what little girls wear in their hair. Stern: The stern of the canoe is the back of the boat. Same as with the term “bow,” the stern is the universal term for the rear of any boat. In a tandem canoe, one canoeist sits in the bow and one sits in the stern. Starboard Side: The starboard side of the canoe is the right side of the boat. Aft Side: The aft side of the canoe is the left side of the boat. Keel: The keel on a canoe is a rib-like protrusion on the underside of where the canoe comes to a point both on the bow and the stern. The keel helps the canoe to track straight through the water. Yoke: The yoke of a canoe is the cross beam in the center of the canoe that connects the starboard and aft sides. It usually has a curved indentation in the center of it that ergonomically fits over the neck of a canoeist. The yoke then rests on the shoulders of the canoeist when carrying the canoe upside down. Beam: The word beam refers to the width of the canoe at its widest point which is taken at the yoke. Thwart: There are two thwart's on a canoe, one in the stern and one in the bow. Thwarts are cross-bars that connect the aft and starboard sides of the canoe. They give rigidity to the canoe as well as provide a canoeist who is kneeling in the boat something to lean against. Gunnel or Gunwale: The gunnel (also called gunwale) is the rim that runs all along the top edge of the canoe. Waterline: The waterline of the canoe is the imaginary line along the canoe that the water comes up to. Freeboard: The freeboard of a canoe is the area of the hull of the canoe that is above the waterline. Draft: A canoe's draft is the area of the hull of the canoe that is below the waterline. Other Components: Besides the design of the boat, canoes have other components such as seats, handles, and grab loops. Outfitting: Outfitting refers to anything that allows the canoe to fit to the individual boater. It can be permanently placed or adjustable. Examples of outfitting are foam and padding for comfort. The above list really just reflects the basic anatomy of canoes. Each genre of canoe has their own list of unique components. For instance, whitewater canoes also have tie-downs for float bags. And, the design features even vary from tandem to solo canoes. Obviously, tandem canoes have two seats. But, this basic list gives the basics. April is always a Happy Birthday month to Eclectic Sun and a Welcome to Spring on Lake Jocassee. Eclectic Sun at Lake Jocassee is happy to celebrate our 5th birthday on April 8th, 2017. Eclectic Sun came to be on Easter Sunday 2012. The Eclectic came from the eclectic group of people who come to Lake Jocassee and this beautiful peaceful area. With all our differences in culture and language, we are still inspired by the same serenity of the area. And of course, the Sun came from our love of beautiful sun filled days and memories. So together we are able to share the resource and the awesome beauty of Lake Jocassee. Devils Fork State Park is the only access to this wonderful paradise. Located in the picnic area of the park, Eclectic Sun is happy to provide the means to explore this wonderland. 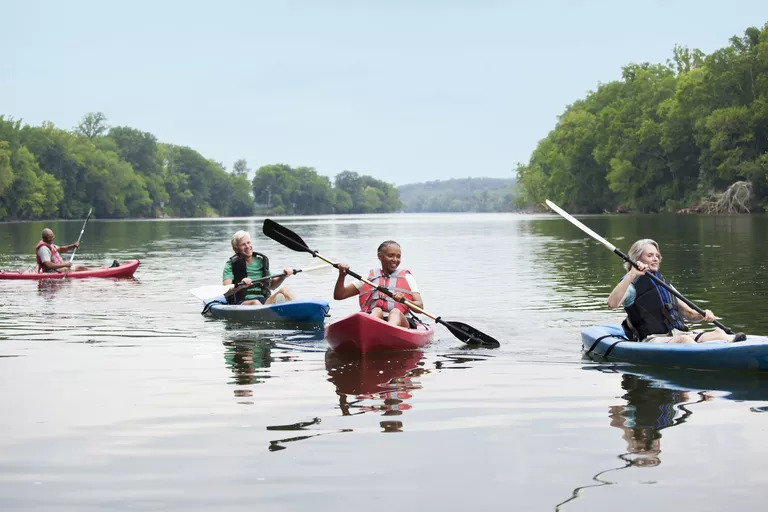 Whether you want to tour at your leisure on a pontoon tour of the many waterfalls on Jocassee or challenge yourself against the elements, to explore the area on a kayak, canoe or paddleboard, you are always treated to a spiritual experience. We are celebrating in a big way with specials set to bring our families and friends far and near out to Jocassee to enjoy the paradise we are fortunate to live and work in every day. Bring your family and friends and join us as we celebrate Easter, Spring and a milestone birthday for Eclectic Sun. Early Spring and Easter week always seem to bring renewed vibrancy to the paradise that is the Jocassee Gorges. Everything which surrounds Devils Fork State Park and Lake Jocassee is bursting in full color. The lake and all the area around the lake are coming alive to rival all the other seasons. Join us this week and celebrate all that is good in the world.